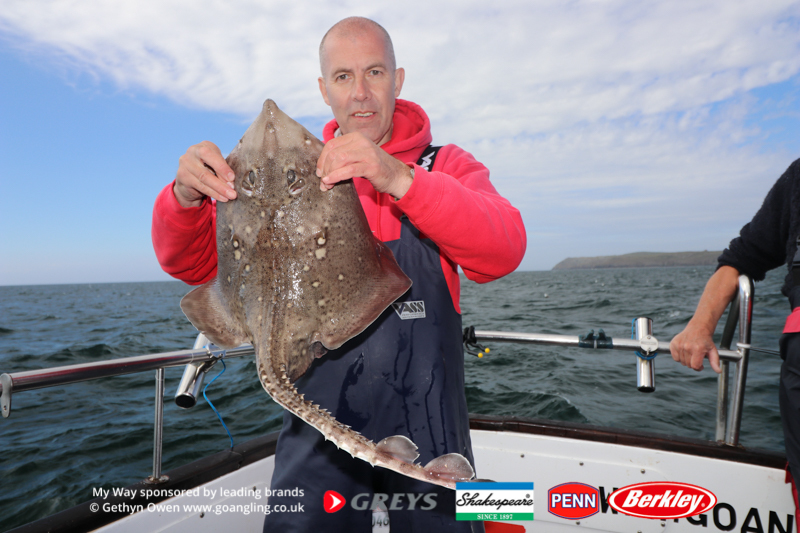 The general angling opportunities around our coast are phenomenal. 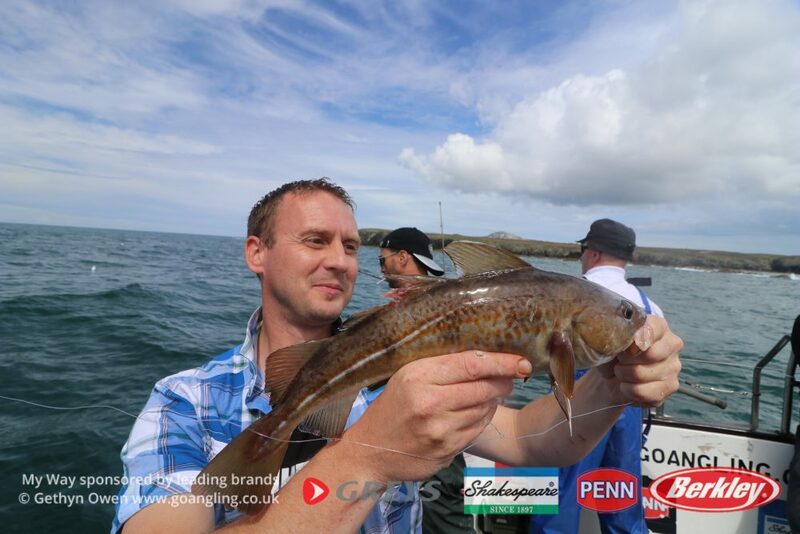 Our fishing grounds include some of the most prolific in north Wales, with the following within easy reach: – Holyhead Bay, Holyhead Deeps, Trearddur Bay, Caernarfon Bay and the Irish sea. 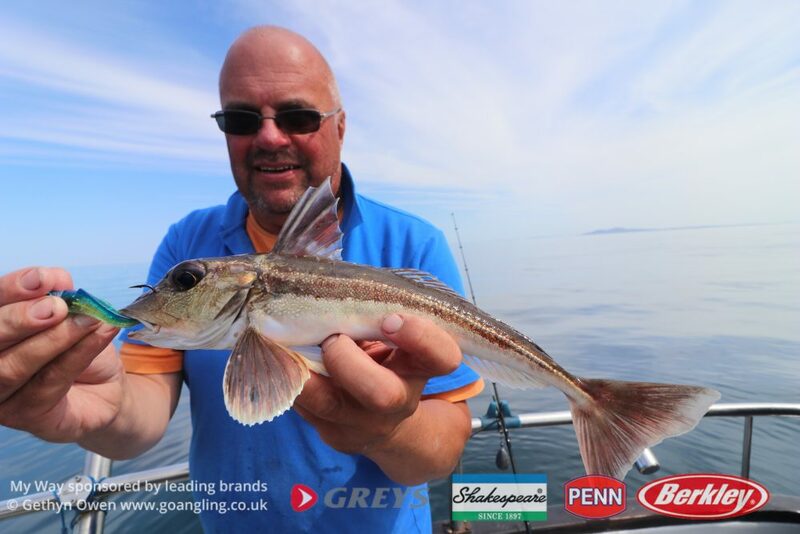 General fishing is a name often used throughout the UK to describe a day afloat targeting a wide range of species, these days normally mixed to include stints at both anchor and also on the drift to help maximise the species count. 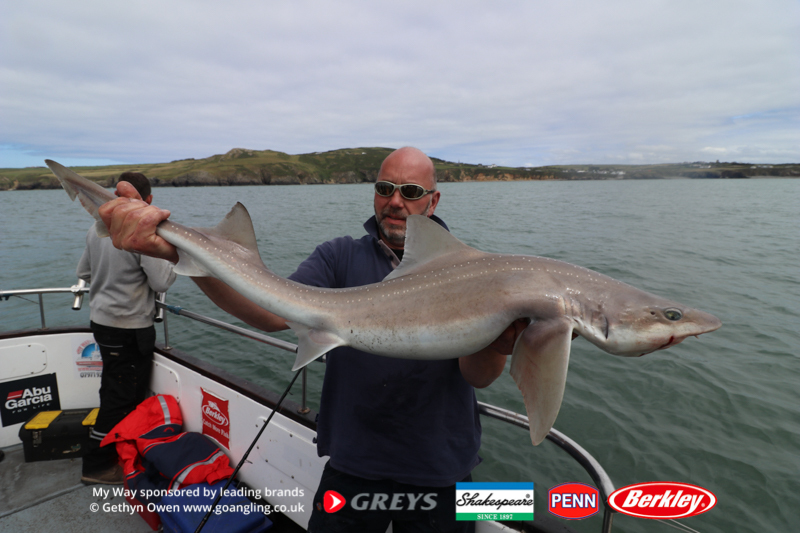 From Holyhead these days can often see the anglers aboard landing over 20 species in the day. Sponsored by the worlds largest tackle company Pure Fishing, we have an array rods and reels for all our anglers to use and try out. light spinning rods to universal uptiders, all chosen with our fishing & your enjoyment in mind. 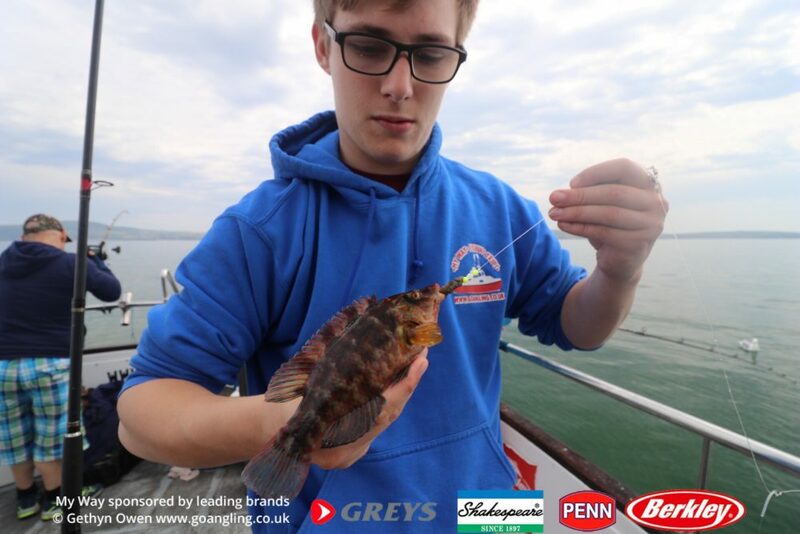 A good days general fishing can be achieved on tides ranging from 27′ to 33′. 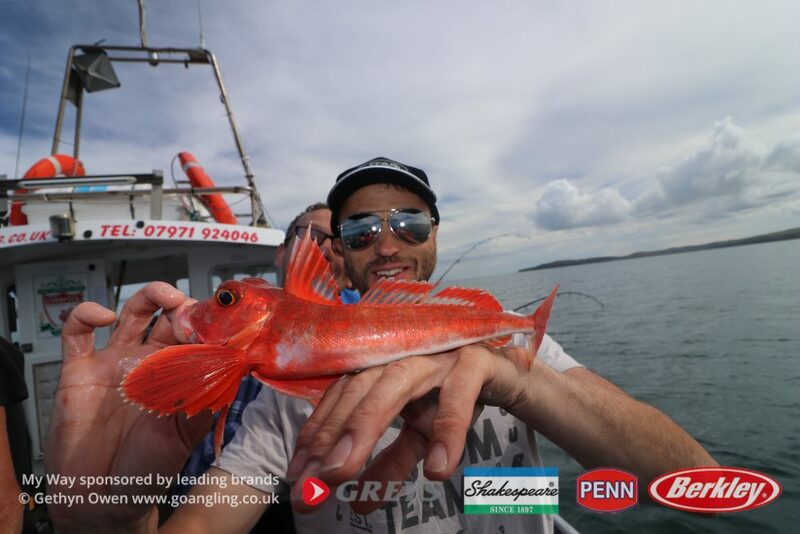 Fishing can be hectic all year round in Holyhead, however March through to November are the most productive of times. Splitting the day between anchor and drifting offers an array of experiences to all anglers. 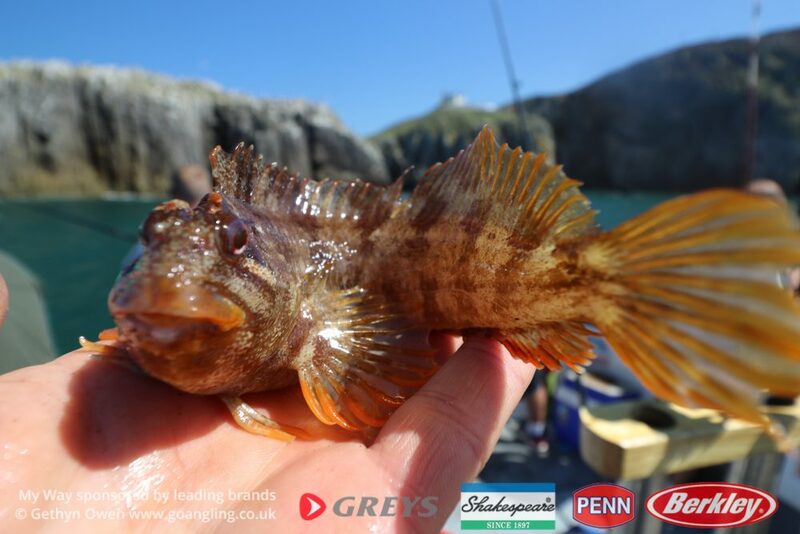 Drifting in around the rocky coastline sees plenty of hardfigthing species such as pollack, coalfish and many members of the wrasse family, alongwith baitfish such as mackerel and sandeel. 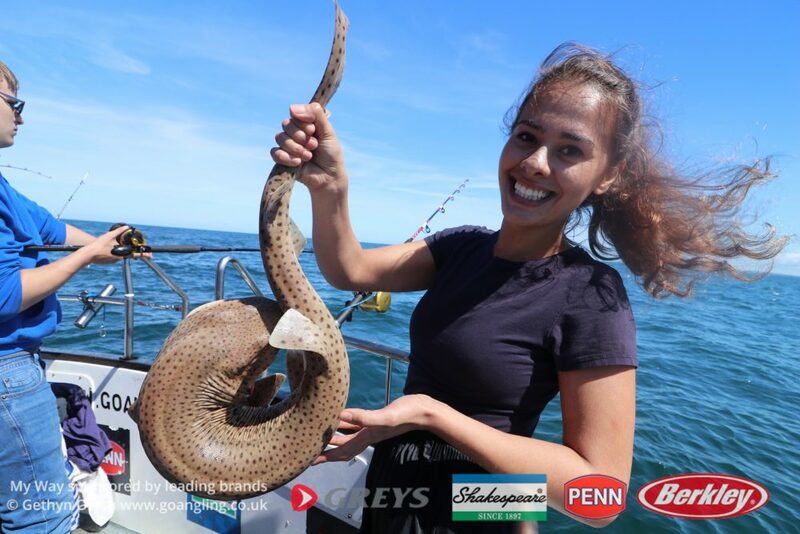 The winter months see plenty of action inshore from whiting, dabs and dogs, with some nice pollack, coalies and codling on the reefs. 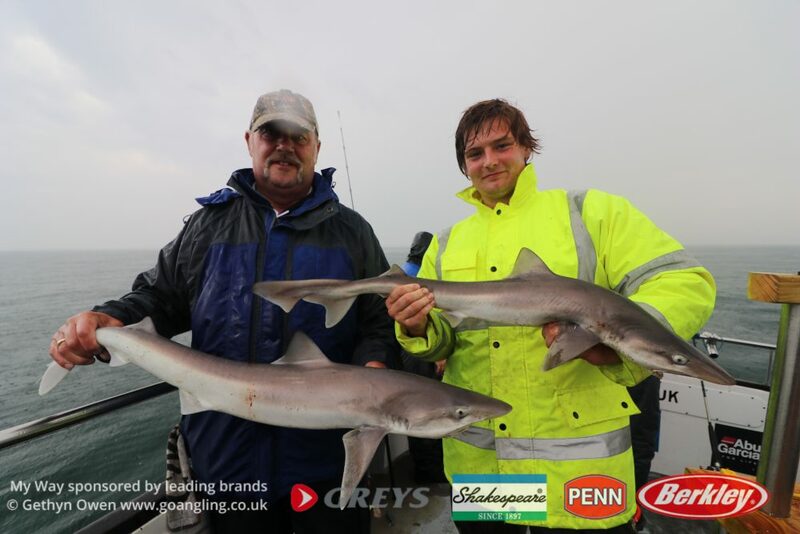 In the deeper watewrs, just noreth of Holyhead spurdogs and congers offer some good double figure action to our fishing. Downtiding or uptiding will see a variety of species caught. Down tide rods should range in the 12lb to 20lb range and uptiders generally the 4 – 8oz bracket. 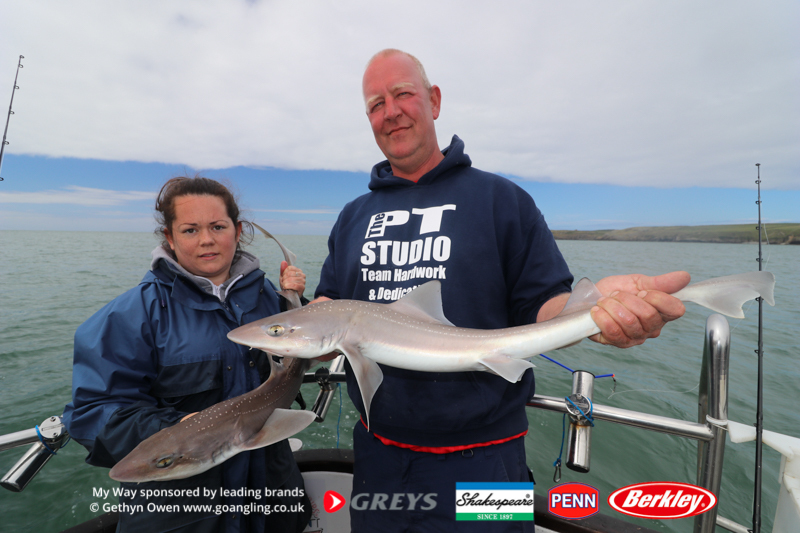 We are though a great fan of light tackle fishing, smoothhounds on spinning rods. Rods with light supple tips for drifting under the rocks looking for hard fighting wrasse and inshore pollack. Heavier Uptiders are sometimes used when seeking out the very big tope. 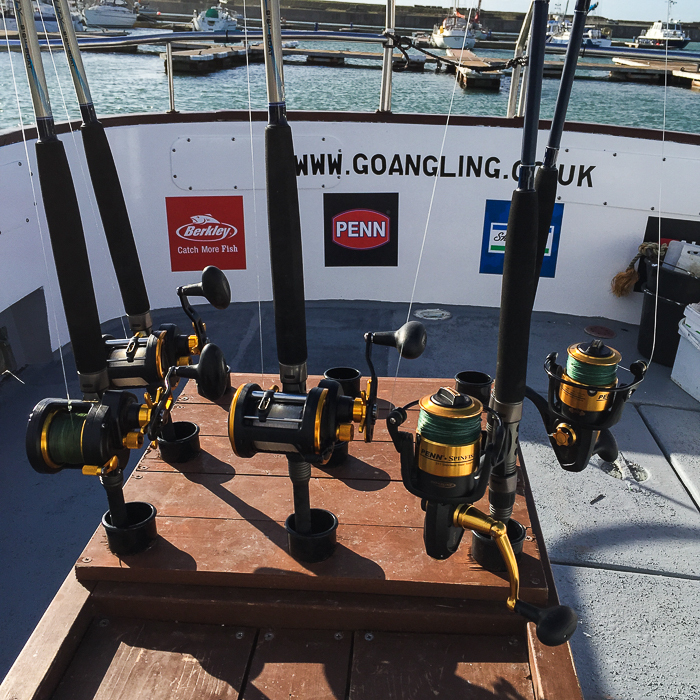 Reels can range in size and type, from both fixed spool to multiplier – here it has to be what you are comfortable with, no point changing reel and not enjoying your day afloat. There are a host of different makes and models to choose from however with reels sized similar to the Penn Fathom or Abu 7000 sized reels you can’t go far wrong. Mainline, braid is always our preferred choice. This thin alternative to monofilament, helps you feel every bite and keep regular contact in the 20 – 25lb range either mono or braid.